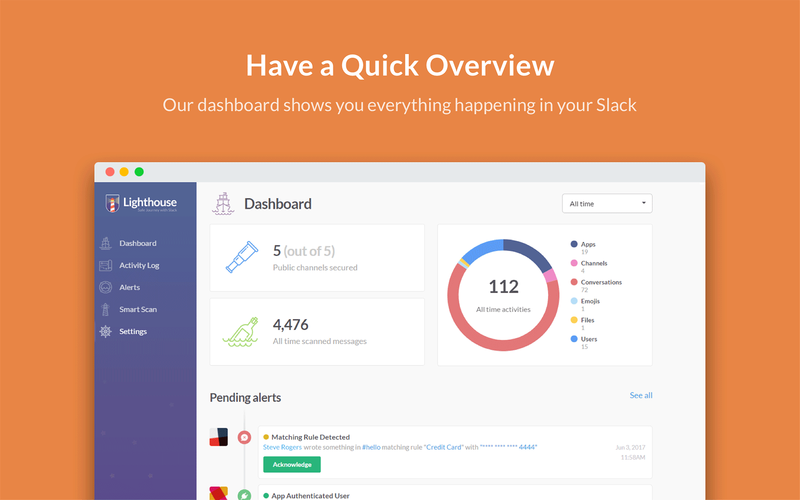 - And much more!Lighthouse is a powerful add-on that allows you to safely use Slack to its full potential. Try it now, for free! Lighthouse will be able to access the names, descriptions, and members of your workspace’s User Groups. Lighthouse will be able to access information about your workspace, including name, email domain, and icon. Lighthouse will be able to access basic information about your public channels (including names, topics, purposes, creation date, and latest message). Lighthouse will be able to access basic information about your private channels (including names, topics, purposes, creation date, and latest message). Lighthouse will be able to modify information about your private channels, including name and purpose, as well as archive and create new ones. Lighthouse will be able to modify information about your public channels, including name and purpose, as well as archive and create new ones. Lighthouse will be able to access the names and images of custom emoji on your workspace. Lighthouse will be able to access your profile fields, as well as any data you’ve entered in them. 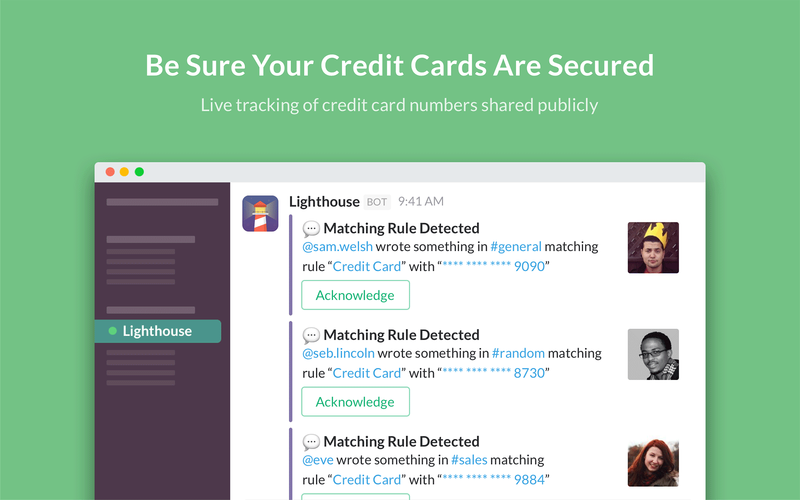 Lighthouse will be able to view the email addresses of your Slack workspace’s members. Lighthouse will be able to view your user id number, full name, and workspace id number on your workspace. 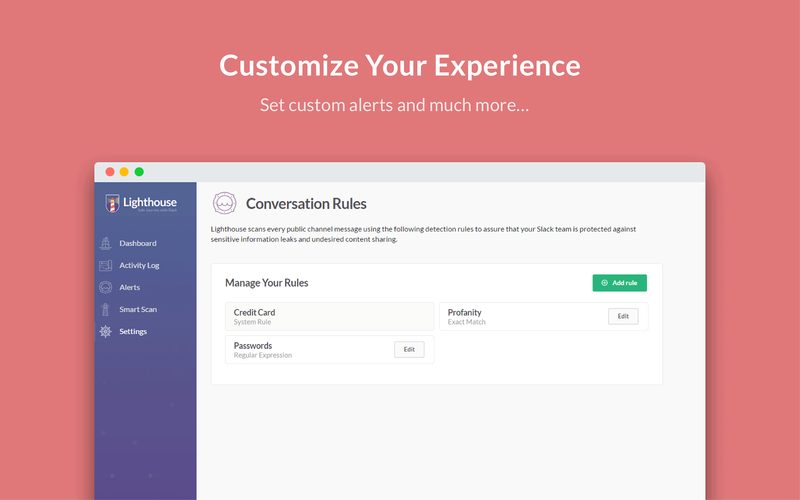 Lighthouse will be able to view your email address on your workspace. 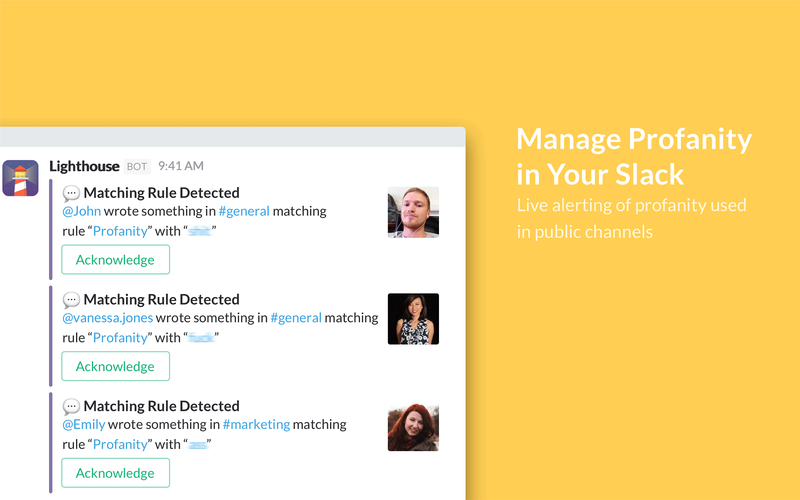 Lighthouse will be able to view your Slack avatar on your workspace. Lighthouse will be able to view your Slack workspace name, domain, and icon. Lighthouse will be able to view administrative information about your workspace including access logs. Lighthouse will be able to install a bot user that appears in and has access to your workspace’s directory. It can also post messages and view activity on messages in any channel it is invited to. 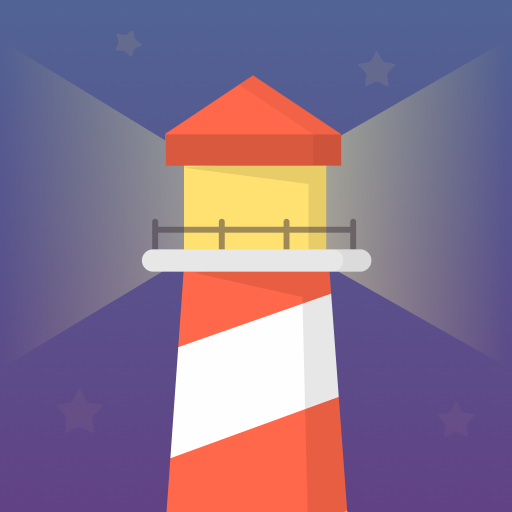 Lighthouse will be able to access any messages and activity you can see in public channels. 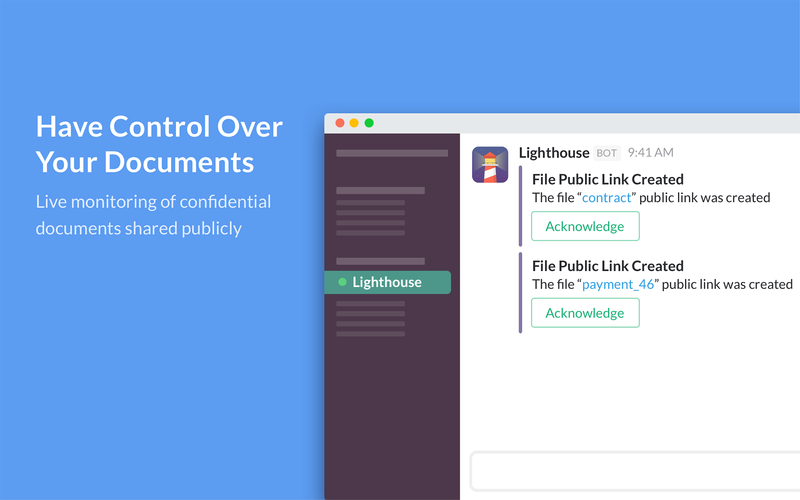 Lighthouse will be able to access content of files created inside of or uploaded to Slack (including information such as who uploaded the files, when they were uploaded, associated comments, and sharing history). Lighthouse will be able to access emoji reactions on your workspace along with associated messages, files (including contents and information such as who uploaded it, when it was uploaded, and sharing history), and who added the 'reaction'. Lighthouse will be able to access profile information for all users on your workspace, including names and contact information.